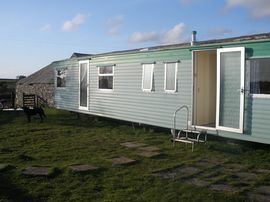 MODERN WILLERBY HERALD STATIC CARAVAN - 3 bedroom, sleeps 6 in two twins and a double. 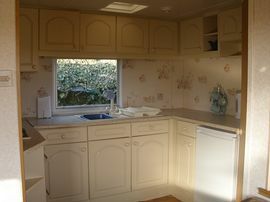 Fully fitted kitchen with all pots, pans, kettle, microwave, fridge with small freezer. Private enclosed garden area, overlooking fields. 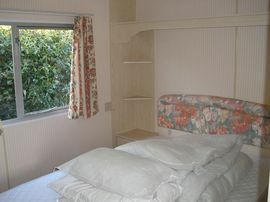 Situated through a working dairy farm, surrounded by open fields, cows, sheep, birds, horses etc! 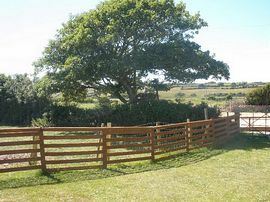 Situated 3 miles from Aberffraw, Anglesey down a third of a mile of private track. Secluded, rural aspect, not on commercial site, ideal getaway for couples and family looking for a quiet getaway. Friendly owners live on site. 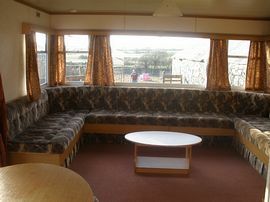 Parking 50M from caravan for 2 cars, storage for bikes, jetski's, boat available. Can email over view photo location, on request and directions on booking. Small Pets £10, stabling/grazing £20 per week.